Moving into a new property can be a stressful time, as there will be so many hoops to jump through, paperwork to fill in, and items to pack. Understandably, it can feel like a big relief once you have received the keys to your new home. Unfortunately for some homeowners, the dream can become a nightmare once they move in and realise the home has various issues they had previously failed to notice. Therefore, if you’re planning to purchase a property, take the time to read the five common household problems for new homeowners. The last thing a new homeowner wants is to find their dream home has a structural issue, which could cost them a considerable amount of money to fix. 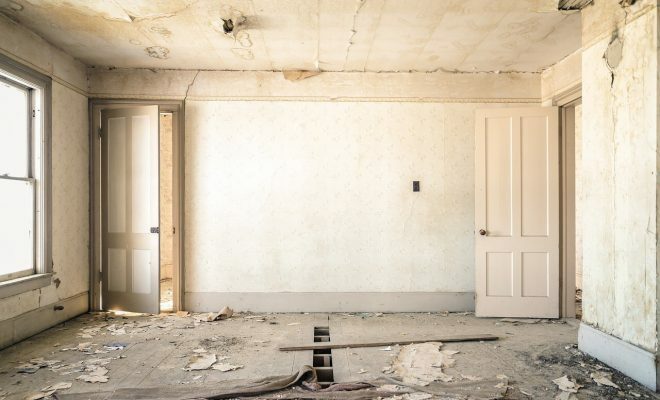 If you fail to make the appropriate repairs to the property’s skeleton, there is a potential that the building could collapse, so you must resolve the problem as soon as possible. Many weeks or months could pass until you one day wake up to a foul-smelling odour coming from a sink, toilet, or pipe. Many new homeowners often put slow running water or a gurgling toilet down to the quirks of their new home, but it could be a sign of a blocked drain. Thankfully, you can quickly solve the issue by hiring an emergency 24hr plumber, who can clear the blockage and remove the unpleasant smell with it. A small water pipe problem can gradually cause a big problem for your property. Over time, the minor leak can increase moisture in your plaster and brickwork, which can cause mould to grow. It can also occur if a property has experienced a flood and did not dry effectively. You must, therefore, fix a water leak, improve your property’s ventilation, and dry wet areas immediately. Review the building during a property viewing, and ask for the property’s history, such as if it has experienced flood damage. Many new homeowners often take a property at face value, believing if it looks perfect then it must be perfect. Yet, there could be some problems hidden away that will be an unpleasant surprise once you move into your new home, such as electrical issues. Research found that one in five buyers often believed electrics are checked in the survey report, and only 37% of buyers had the electrics checked before they made a purchase. You must, therefore, ensure you book an electrical check on a property to avoid the household problem once you’ve moved in. It more than likely was never your intention to share your home with another living animal or insect, and a pest infestation will almost certainly take you by surprise once you’ve moved in. You need to learn how to spot a pet infestation before you attend a house viewing. For example, look for visible droppings, damaged plants, grease marks, or physical damage to structures, which could each be a sign of an infestation. ← Previous Story Get the look for less – Aldi BBQ vs High End Brand – save £760!